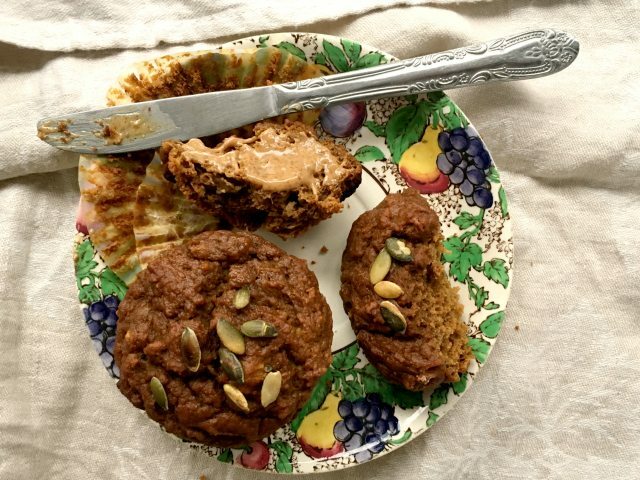 Apple cider pumpkin muffins are refined-sugar-free – sweetened only with molasses and maple syrup. Pumpkin and apple are a great combination. The flavours both go well with spice and adding diced apples to the batter helps keep the muffins from feeling too dense. The apple cider is just a nice touch. 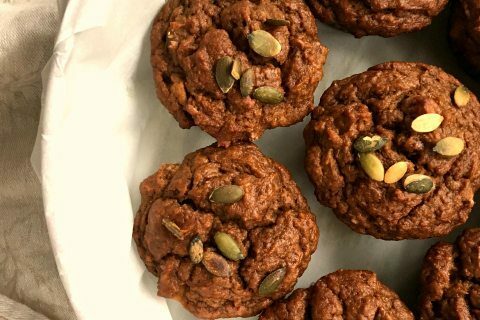 Apple Cider Pumpkin Muffins have been my go-to snack all week. I have been packing them in my lunch and have enjoyed them late afternoon with a little almond butter. 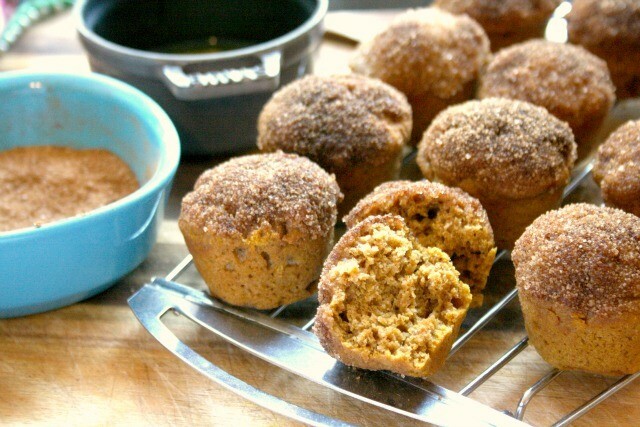 Apple Cider Pumpkin muffins are my kind of muffin — not too sweet. If you prefer muffins that are more cake-like (i.e. light-textured and extra sweet) then this recipe is not for you. 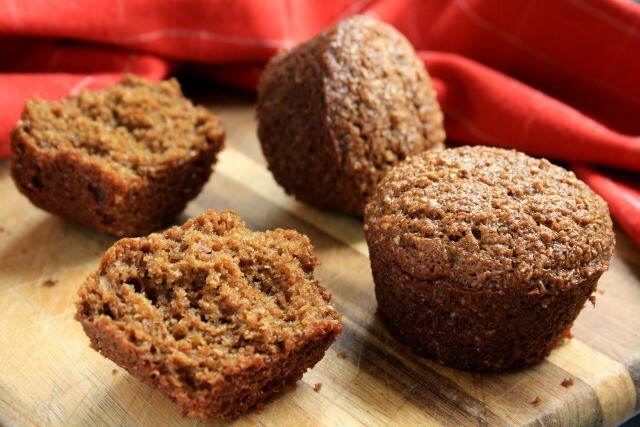 Apple cider pumpkin muffins are barely sweet, but still satisfying for an afternoon snack. 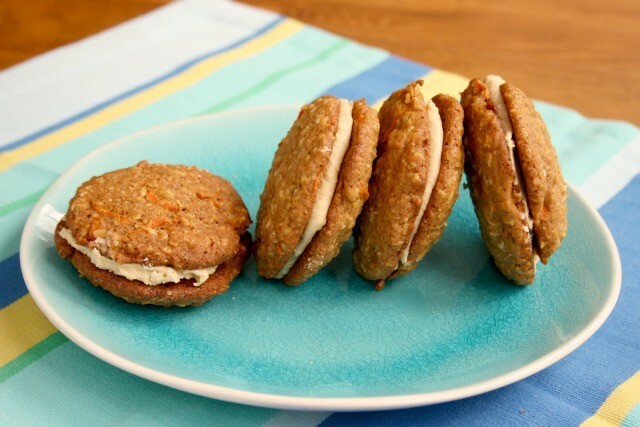 Enjoy them with peanut butter, almond butter or a little cream cheese. Tips: These muffins have a thick batter that doesn’t spread so you really can overfill the muffin tins. This recipe makes 16 generous muffins. You can substitute oil for some or all of the melted butter. In a medium bowl, beat together the melted butter, molasses and maple syrup. Beat in vanilla and eggs, one at a time. Beat in cider and pumpkin puree. In a large bowl, whisk the flour, baking powder, baking soda, salt and spices. Stir in apple, mixing with your hands if necessary to separate the pieces. Add wet ingredients to dry and stir gently until almost combined. Spoon into prepared muffin pans, heaping the batter. Bake, 30-35 minutes until they spring back lightly when touched or a tester comes out clean. Cool 10-15 minutes before removing from the pans. If you’re in search of family-friendly food that’s easy to prepare, healthy and tastes good, then sign up here to receive blog posts by email. 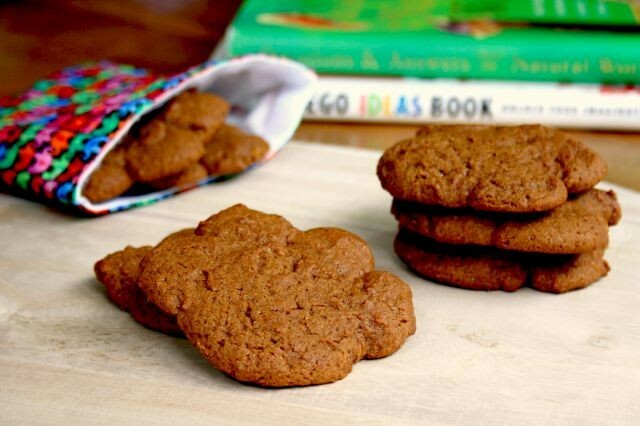 This recipe is a classic, old-fashioned soft molasses cookie. They travel well, are filling and delicious. 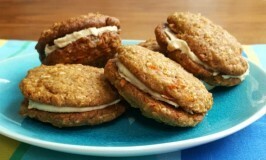 The ultimate lunch box cookie: Pubnico Soft Molasses Cookies travel well and are filling, so are practical and delicious. 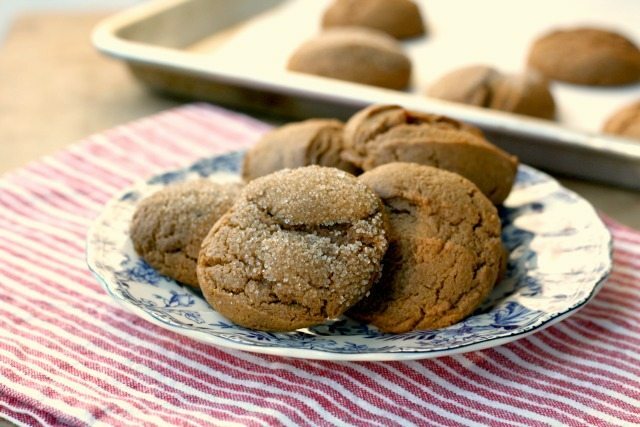 This is one of those classic old fashioned soft (but not too soft) molasses cookies. It’s the famous Pubnico cookie, also known as Long Johns, Moose Hunters, Fat Archie’s & Lumberjacks. 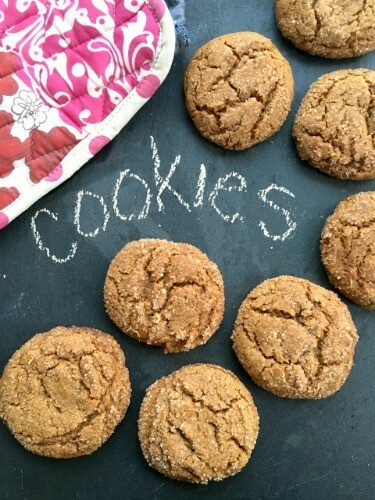 They’re also quite similar to our recipe for Katie’s Fat Molasses Cookies. 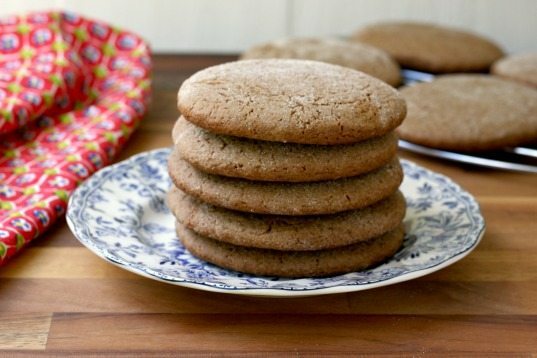 Soft but sturdy molasses cookies have been around for a long time. They travel well and are filling so are as practical as they are delicious. The first time I sampled Pubnico molasses cookies they were served with butter. And the combination worked. 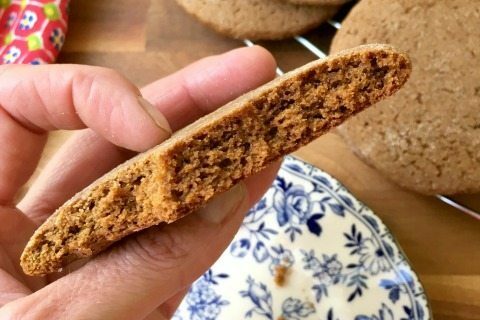 Although these cookies aren’t really low in sugar they aren’t overly sweet either so pair well with everything from a slice of cheddar to peanut butter. These are meant to be a thicker cookie so take care not to roll them too thinly. The dough texture will vary depending on your flour. If it seems too soft to handle you can add up to an extra ¼ cup of flour. And you’ll use more flour when you roll them out. Different versions of this cookie have different spice blends. Feel free to add extra ginger if you’d like them a little spicier. When I sampled the cookies I didn’t get the recipe but fortunately it’s easy to find. This recipe was shared by Valerie from the blog A Canadian Foodie. In a large bowl cream sugar and butter. Add molasses and egg and blend well. Combine dry ingredients and add to the creamed mixture, alternating with the milk. Preheat oven to 350 F and line a cookie sheet with parchment paper. On a lightly floured surface, roll dough to 1/4 inch thick and cut into rounds (or preferred shape). Place on prepared sheet, about 1 1/2 “ apart. Easy soft molasses cookies suit any time of year. 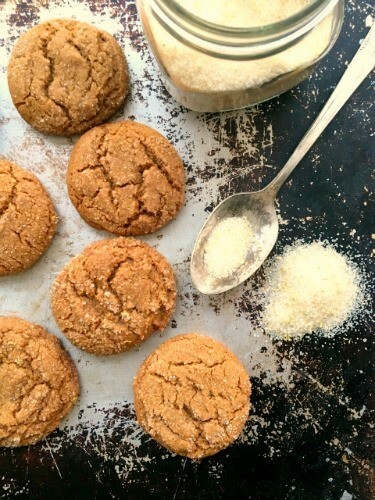 This easy soft molasses cookies recipe is from the new cookbook, Pantry & Palate, by writer Simon Thibault. It’s a cookbook filled with old-fashioned East Coast recipes that celebrate his Acadian roots. 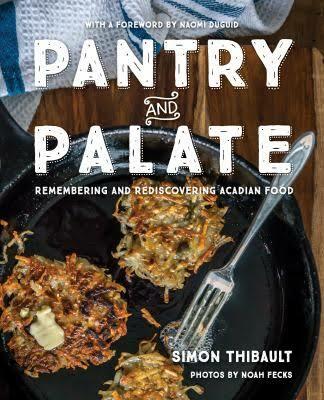 These are recipes that he grew up with, gathered from family members and from the Acadian community in Nova Scotia where his family is from. The recipes may be old time but they’re not out dated. From chicken fricot (chicken vegetable stew) to potato pancakes, scalloped cabbage, apple cake, gingerbread and apple pie, the book is filled with everyday recipes, family-favourite sorts of recipes. Now is your chance to try more recipe from Pantry & Palate. Courtesy of Nimbus Publishing Ltd. we’re giving away a copy of the book. 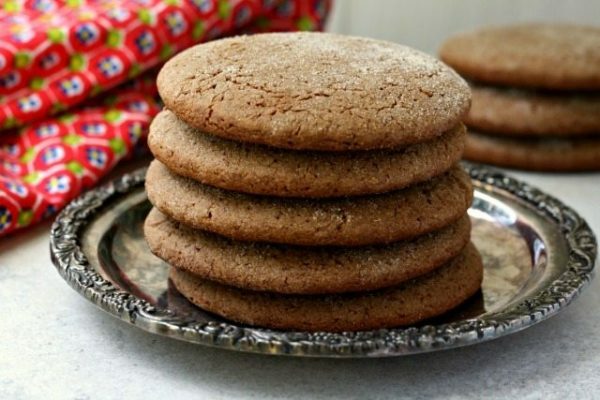 This is an old fashioned soft molasses cookie recipe, made with lard. To ensure they’re tender, take care not to over-bake them. They only cook for about 8 minutes, and they might not seem cooked at that point but they’ll set once cooled. These bake in a hot oven (375 F) so the bottoms can burn easily if you leave them in too long. They’re equally wonderful baked plain or rolled in sugar. In a large bowl, beat together the sugar and lard until the sugar is no longer grainy. Beat in the molasses then the ginger. In a medium bowl, sift the flour, baking soda and salt. Add to the sugar mixture and stir until just combined. Refrigerate for an hour or overnight. 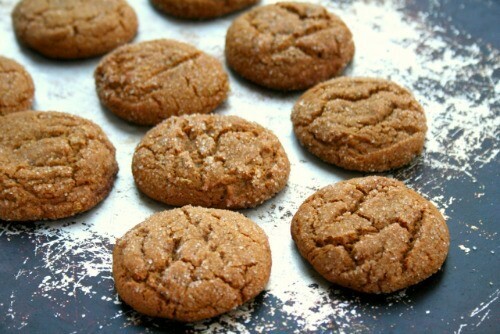 If you love soft molasses cookies try our recipe for Aunt Marcia’s Soft Molasses Thumbprint Cookies. Chocolate chip banana bread is a wholesome snack. Made with whole wheat flour, Greek yogurt and with the sugar reduced by almost 1/3 from the original recipe, it’s a not-too-sweet treat that’s perfect for lunch boxes or an afternoon snack. For my family the first week back from March Break is also the first week adjusting to the time change – a double whammy that has us all struggling through the early mornings. But when late afternoon arrives and it’s still bright and sunny, and daylight persists through dinnertime, it all feels worthwhile. It’s a season for new lunchbox and after school snacks for my kids. 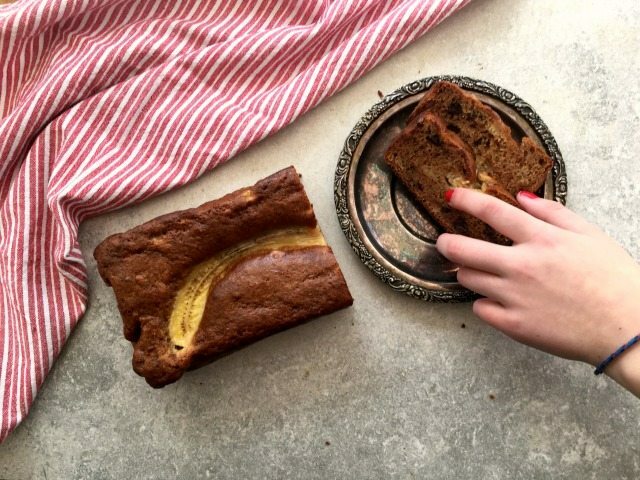 Although winter isn’t quite over (hello province-wide blizzard warning for tomorrow) we’re all in the mood for snacks that feel less wintery, like this chocolate chip banana bread. It’s a wholesome classic that hits the spot when you need a little nibble. Try it toasted with breakfast too. 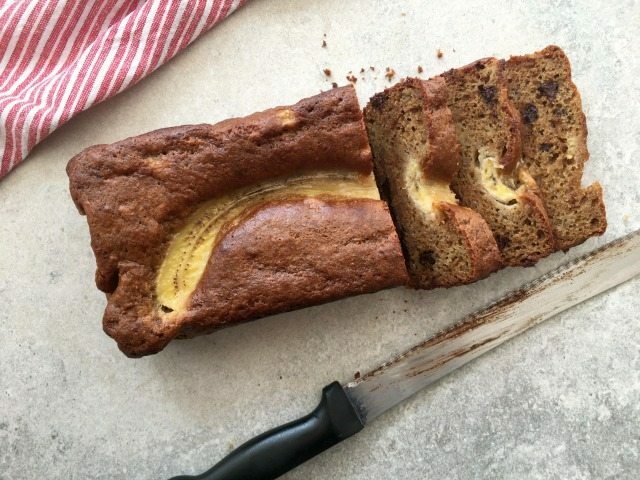 Eat within two days if you’re baking the bread with banana slices on top. This recipe is adapted from Ricardo Cuisine. Preheat the oven to 350°F and line a large loaf pan (9″ x 5″) with parchment paper. In a medium bowl, stir together the banana and sour cream. Set aside. In another bowl, whisk the flour, baking soda and salt. Set aside. In a large bowl, beat the egg with the brown sugar, vanilla and molasses until the sugar is fully incorporated (no longer gritty). Whisk in the oil. Stir in the dry ingredients, alternating with the mashed bananas, beginning and ending with the dry ingredients. Stir in the chocolate chips. Scrape the batter into the prepared pan. If topping with banana: split the banana down the middle lengthwise, separating it into three sections. Sprinkle 1-2 sections with lemon juice then sugar. Place on top of the batter. Press into the batter slightly. Bake for 45 to 55 min. 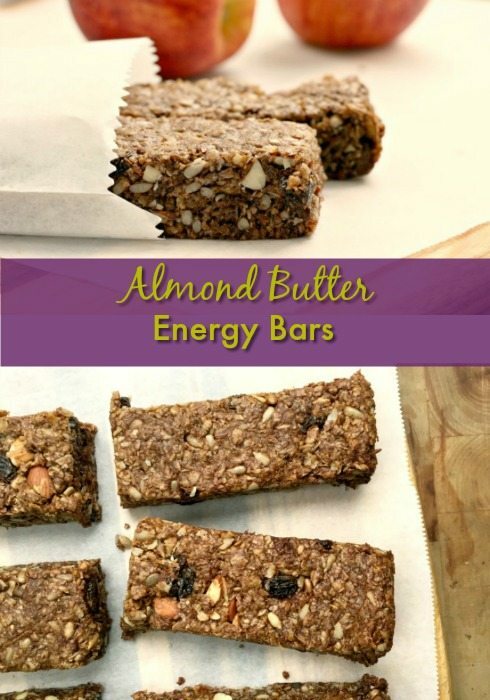 Packed with protein, fibre and lots of flavour, Almond Butter Energy Bars bars are perfect for those days when you’re on the go. Find a local bakery and let them choose snacks for the hike. As long as there are treats in our backpacks and a chance to enjoy them throughout the climb my kids are game to hike. And to be fair, my kids usually enjoy hiking, but some extra encouragement enroute to the next lookout is always welcome. 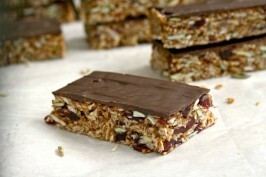 My favourite climbing snack is a hearty granola bar from a local bakery in mid-coast Maine. Moist and filled with seeds and nuts the bars pack well and are filling. One is definitely enough. 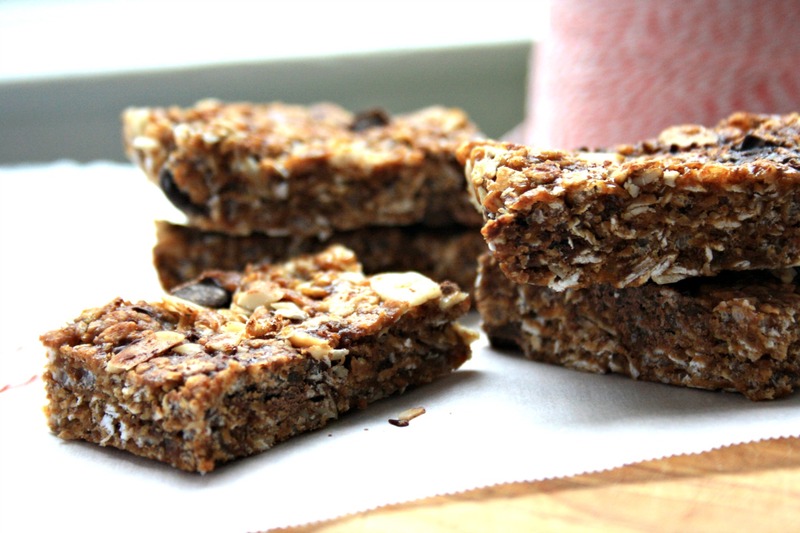 This Almond Butter Energy Bar recipe is my version of that wholesome bar. 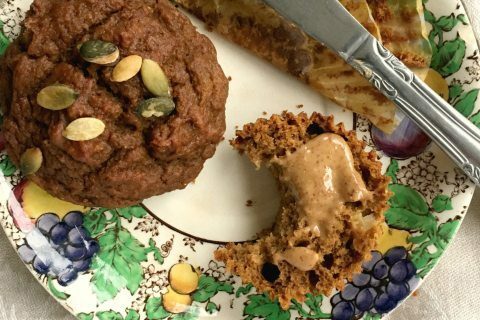 School-friendly option: Replace the almond butter with sunflower seed butter. Replace the chopped nuts with additional seeds and dried fruit. 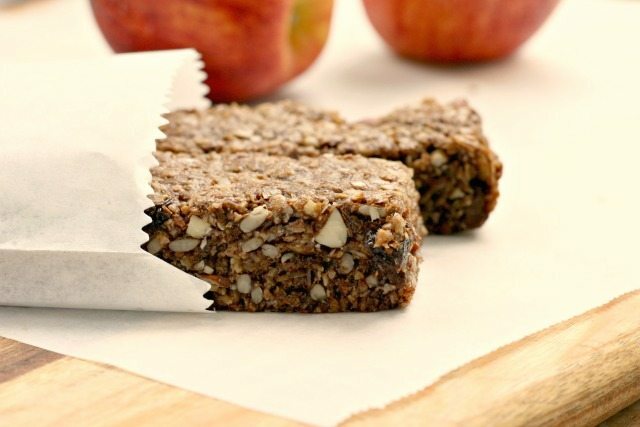 Store them individually wrapped in the freezer if you want to have them on hand for hikes or anytime you’re on the go. 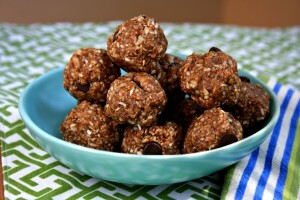 Mix oats, bran, coconut, seeds, almonds, raisins, wheat germ and chocolate chips in large bowl. In a small dish, combine milk, vanilla and baking soda. Stir into molasses mixture and remove from heat. Bake at 275°F for 30-35 minutes. 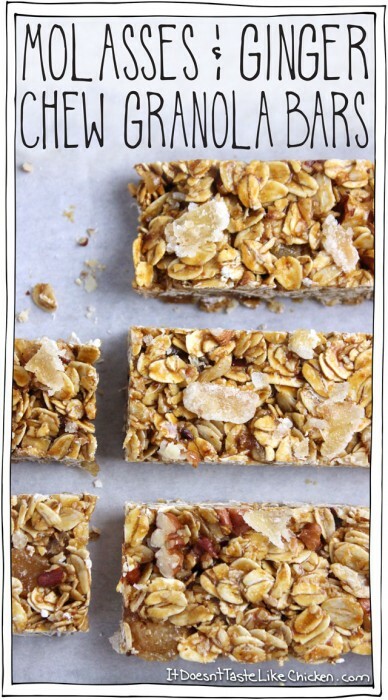 Let cool, cut into bars and store in the refrigerator. Like individual apple crisps, only easier. 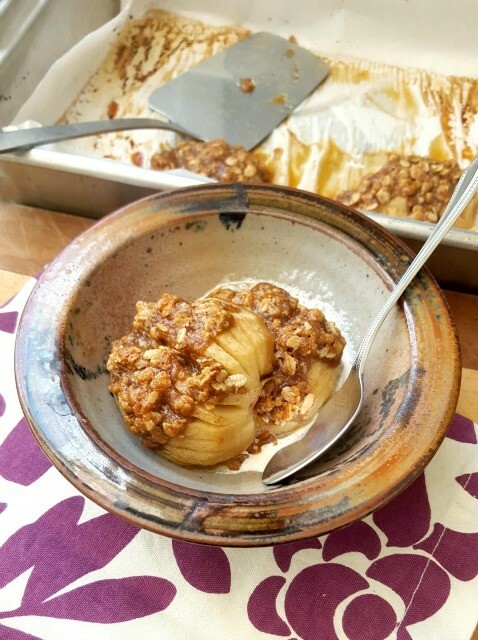 Crumble-top baked apples are like individual apple crisps, only easier. They make a great snack but also transition well to dessert when served with cream or ice cream. They really don’t need anything to be satisfying. After testing the recipe a couple of times at home I introduced it at my afterschool cooking class at my daughter’s school. Sixteen enthusiastic kids make them without a hitch. Although their ease to prepare is part of the appeal, they also look pretty in a bowl in a very wholesome sort of way. The instructions may seem a little fiddly at first since you bake the apples in two steps but once you have made them a couple of times you won’t even need to measure anything. The crumble top quantities below are more of a guide. I have spread the mixture across three apples instead of two and I have also made extra crumb top, on occasion. When it comes to slicing the peeled apples, I use a gentle rocking back and forth motion to carefully make the slices without going all the way through the apple. If you do end up slicing all the way through it’s no big worry. Just continue along according to the instructions below. Pre-heat oven to 400°F. Line a baking pan with parchment paper. Melt 1 Tbsp of butter over low heat. Remove from heat and stir in 1 Tbsp of molasses and ½ tsp cinnamon. Set aside. Peel the apples and cut in half from top to bottom. Core the apples (use a melon baller or spoon). Place the apples cut-side down on a cutting board. Cut slices into the apple, 1/4-inch apart, stopping just before you cut through the bottom. Place the apples in the baking pan, flat-side down. Brush the apples with melted butter and molasses mixture. 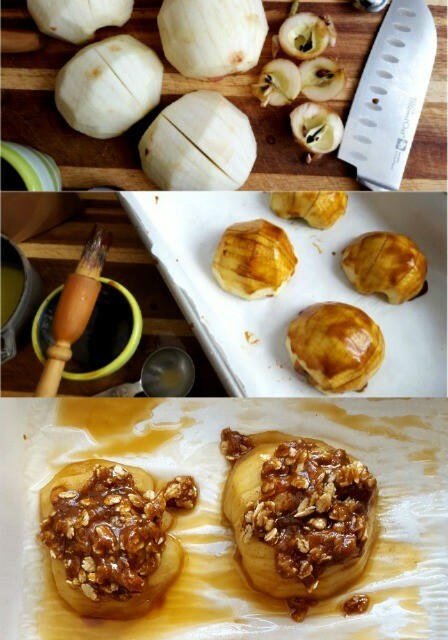 Cover pan with foil, and bake for 10-15 minutes, until apples are soft (but not collapsing). Combine remaining Tbsp. of butter with, remaining ½ Tbsp. 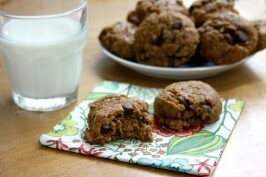 of molasses, the brown sugar, 1/4 teaspoon cinnamon, flour, oats, and a pinch of salt. Remove apples from oven and top with streusel. Return apples to oven, uncovered. Bake 10 minutes. Serve with cream, ice cream or on their own. 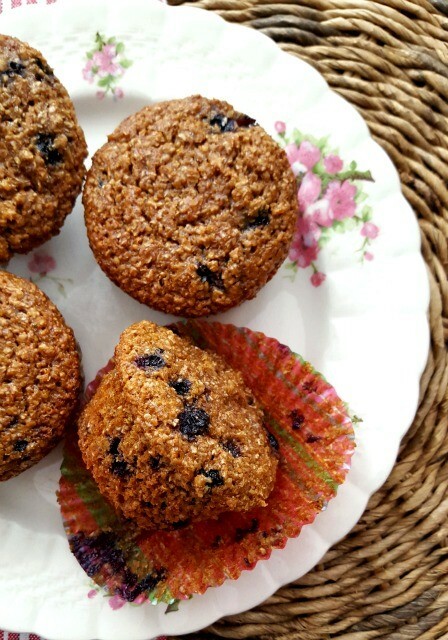 These blueberry bran muffins are light-textured and moist. 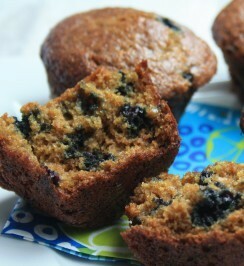 You can never have too many recipes for blueberry muffins, and blueberry bran muffins are especially appealing. They have a wholesome flavour that can’t be matched and never taste like a piece of cake, which is sometimes the case with regular blueberry muffins. 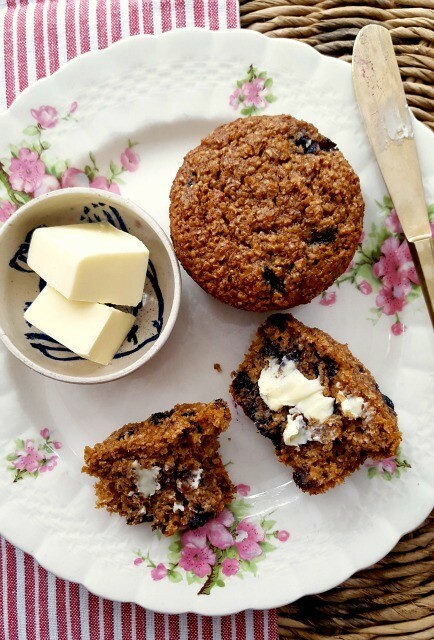 These blueberry bran muffins are light-textured and moist. 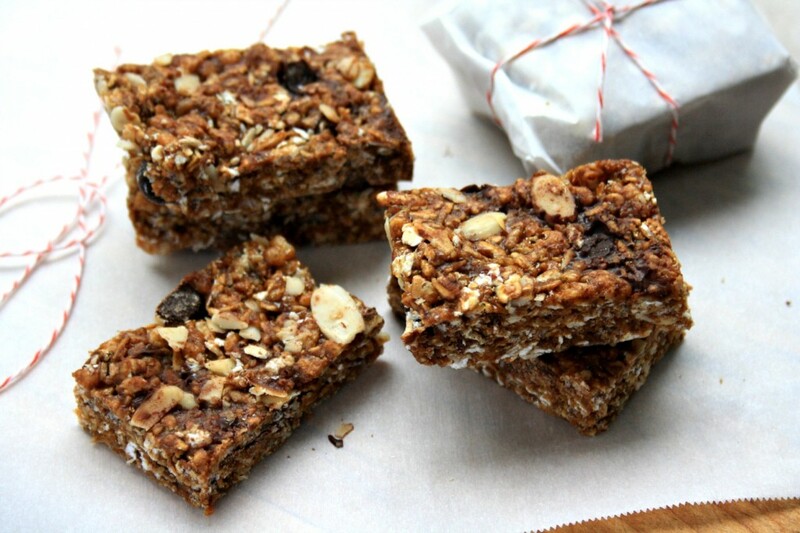 They’re made with a generous amount of bakers bran (natural wheat bran) which is the key to their lofty texture. Blueberries and molasses keep them extra moist. This is the kind of muffin that works for breakfast, for school lunches and for an after school snack. I came across the recipe one sleepy holiday evening at my sister’s. I was flipping through her new cookbook, Make it Ahead by Ina Garten. 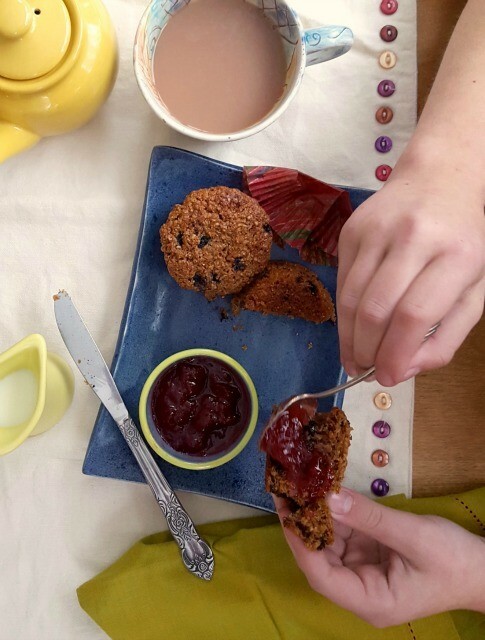 There were loads of great looking recipes in the book but the one that really caught my eye was for these blueberry bran muffins. All of our family feasts over the holidays got me thinking about simple food and wholesome snacks and this recipe fit the bill. And it has come in handy this week, getting us through the first Monday in January and the whole sleepy week. (Getting back into the swing of things has been a little painful, for everyone in my household). Thankfully this is the kind of muffin that works for breakfast, for school lunches and for an afterschool snack. I didn’t bother to freeze them so the batch lasted four days on the counter before they were all gone, and the final muffin still tasted great. I love to eat them plain or with a little peanut butter but my daughter prefers them with a heaping spoonful of strawberry jam. Preheat the oven to 350F and prepare muffin pan. In a large bowl whisk together the flour with the salt, baking powder, baking soda and cinnamon. In a medium bowl whisk the yogurt with the oil, sugar, molasses and honey. Stir the wet ingredients into the dry and mix gently until almost combined. Stir in the wheat bran in two additions. Stir in the blueberries and mix until evenly distributed. Spoon into prepared muffin pan and bake for 25-30 minutes if using fresh berries. Bake for 30-35 minutes if using frozen blueberries. 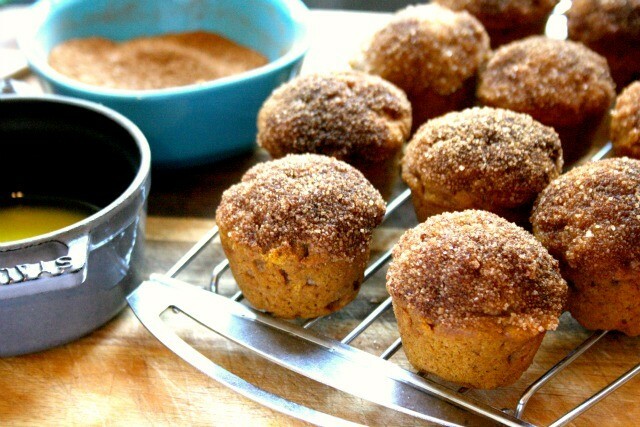 I like to call these doughnut-muffins because, although this is very much a muffin recipe, the cinnamon sugar topping makes the muffins taste like old fashioned sugar doughnuts. It dresses them up in such a simple way and makes these muffins a lot more appealing, especially to my kids. I have a soft spot for old fashioned doughnuts. Even as a child they were my favourite — I was crazy about the texture and the slight crunch of the sugar coating. Fancy yeasted doughnuts never felt authentic to me. I was lucky that my mom would make homemade doughnuts from time to time. My husband’s aunt had a great talent for making old fashioned doughnuts too and every time she heard we were coming for a visit she’s start cooking. We got to watch her make them one time, before she had a deep fryer. It’s like she was one with her vat of Crisco, knowing when it was just the right temperature for frying. No thermometer necessary. I have never attempted old fashioned doughnuts so these sugar-dipped pumpkin muffins are my stand-in. They’re yummy and not too sweet. Best eaten within a couple of days, especially after dipping. Preheat oven to 350°F. Line mini muffin pans with liners or grease them well. In a large bowl, whisk the flour, baking powder, salt, cinnamon, pumpkin pie spice, and nutmeg. In another bowl whisk the melted butter, sugar and molasses. Whisk in the egg then add the vanilla, pumpkin and milk. Add wet ingredients into the dry and stir gently until just combined. Spoon batter into the muffin tins. Bake for 10-12 minutes, or until the tops spring back when lightly pressed. Stir together the cinnamon and sugar. When the muffins have cooled dip the tops first in the melted butter then in the cinnamon sugar mixture. Set on a rack to dry. Best eaten within a couple of days, especially after dipping. 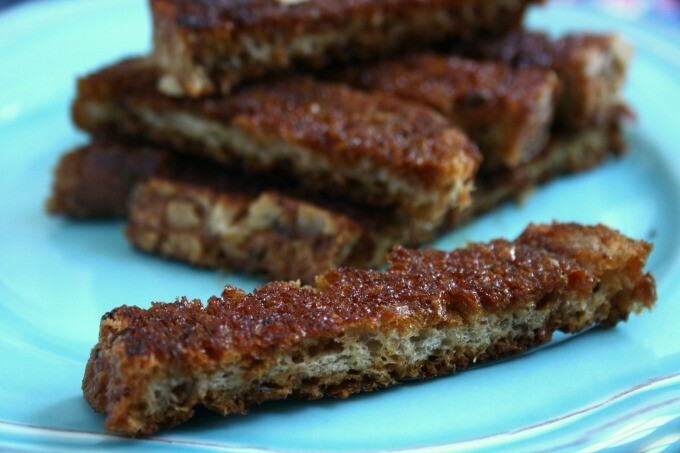 Through August and September we challenged members of Food Bloggers of Canada to develop and share delicious bar recipes that used molasses as an ingredient. We had a terrific response and have had quite a challenge whittling those entries down into a shortlist of 5. But whittle we did. Today I’m sharing the five finalists in our “Raising the Bar” contest with Food Bloggers of Canada. We’ll be baking and nibbling our way through these five recipes over the next couple of days to choose the winner and two runners up. 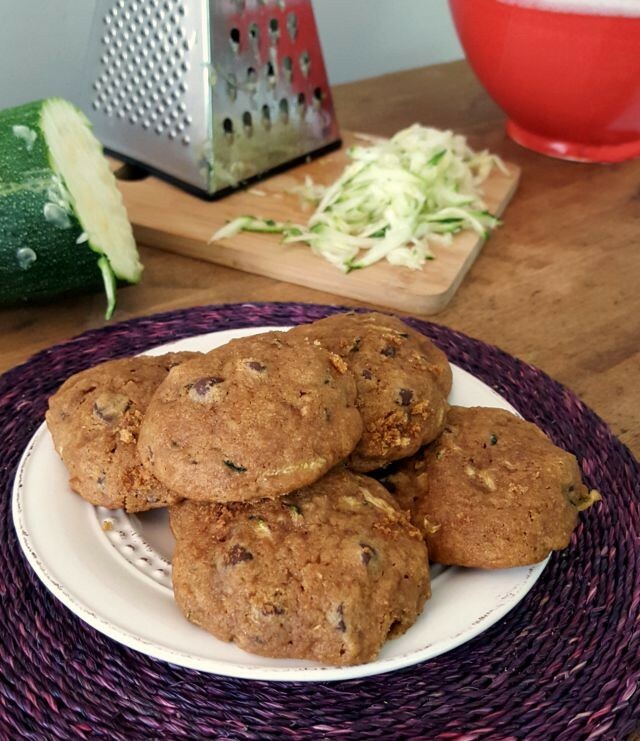 Zucchini Chocolate Chip Cookies have a comforting cake-like texture and are studded with dark chocolate chips. A chocolate chip cookie with vegetables is a parent’s dream. It’s what we’re all in search of: a lunchbox treat or after school snack with a bit of goodness in it. Now that we’re back into the swing of school, lunches and after school snacks are top of mind in our house. And the zucchini is plentiful, so why not combine the two? 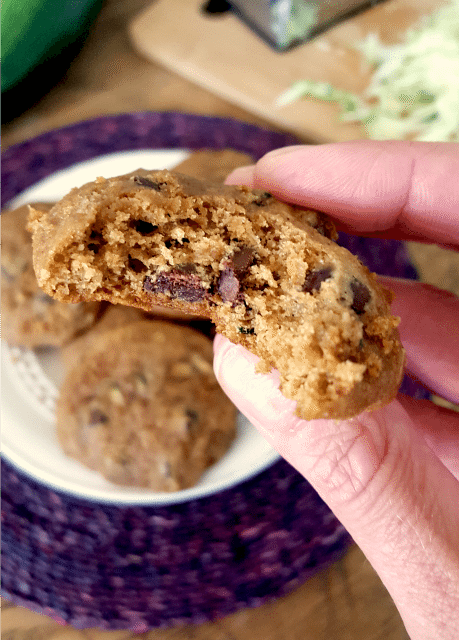 Zucchini Chocolate Chip Cookies have a comforting cake-like texture and are studded with dark chocolate chips. 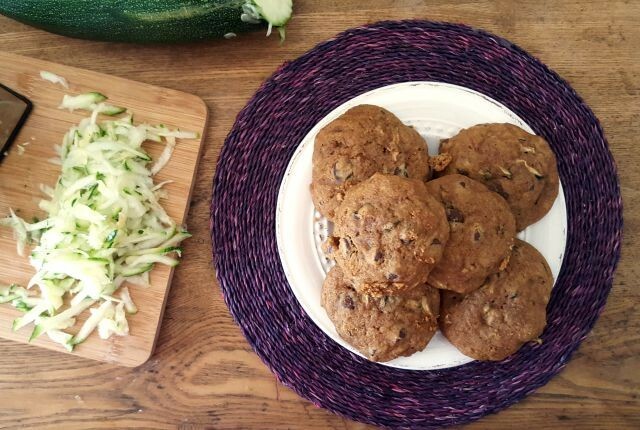 Use yellow zucchini if you’re not a fan of green streaks in your cookies (the zucchini isn’t peeled) or if green in a cookie gives your kids reason to pause. You can also change up the spices, going with just the cinnamon or swapping ginger for the nutmeg. Be sure to give your grated zucchini a little squeeze to get rid of excess water before adding it to the batter. In a large bowl cream butter with sugar. Beat in molasses then the egg, vanilla and orange zest. In another bowl whisk the flours, baking soda, salt, spices. Stir the dry ingredients into the creamed mixture. Stir in the zucchini and chocolate chips. 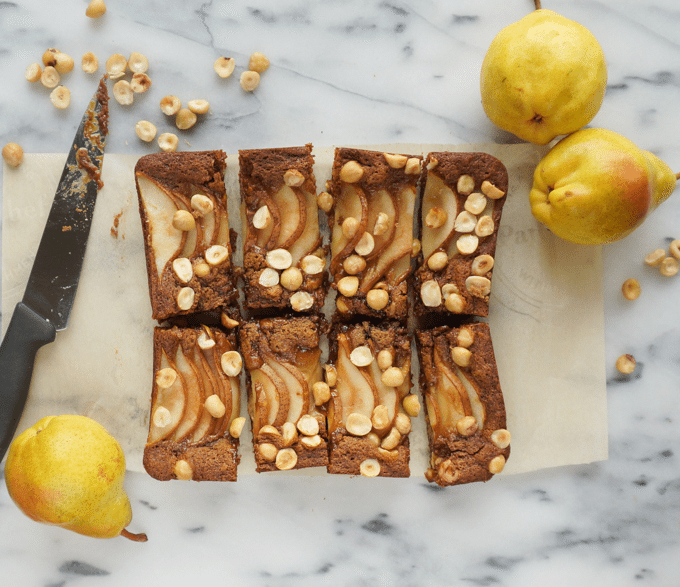 Drop by tablespoonful on a parchment-lined baking sheet. I’m not sure if it’s the cakelike softness of Bear Paws that draws me to these cookies or the cute name. Whatever it is they’re irresistible. No matter who is in the house, young or old, these cookies go flying off the counter when I bake them. Even during all of my testing the early versions got devoured. These are definitely good lunchbox and afterschool snack cookies. I am typically not one for fiddly cookies but I made an exception for these because I wanted them to have cute toes. Even though they take a little bit to assemble – middle and four toes – the process went quickly once I created the first few. They’ll look shaggy when you put them together but the edges will soften as they bake. Sure they’re not smooth on top like the store-bought version but I was going for texture as I worked with this recipe. In the end we all agreed that they really resemble puppy paws. If you’re not in assembly mode you could always roll the dough and use a hand-shaped cookie cutter to create these. 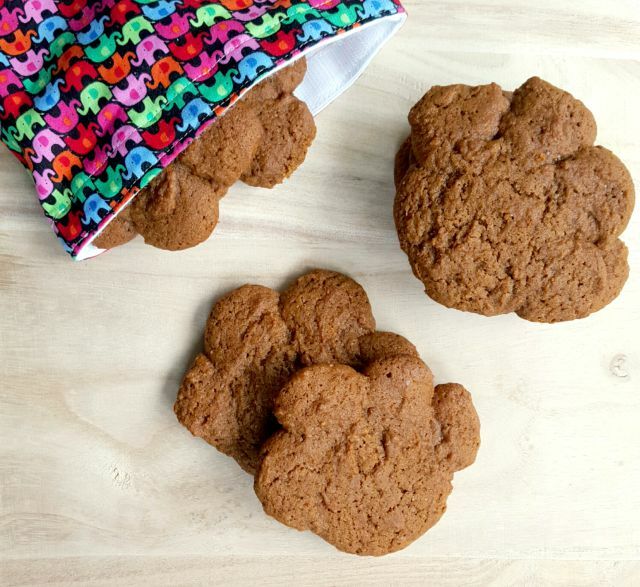 Maybe there are paw-shaped cookie cutters out there too. Whichever method you choose to shape these cookies, they’ll be delicious. The gentle spicing is wonderful and the texture is just so perfect. In a large bowl cream butter and sugar. Beat in molasses and egg. In a separate bowl whisk the flour, spices, and salt. Combine the hot water and baking soda in a little cup. Pour into the butter mixture and stir to combine. Add the dry ingredients and stir until incorporated. 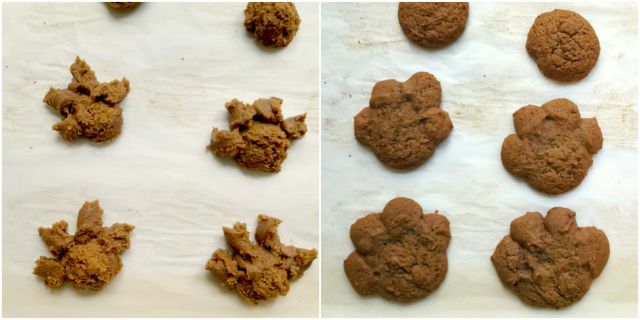 Using a medium cookie scoop or a tablespoon, make the middle of the paws and then use a teaspoon measure to make four toes. This will be a little messy but will get easier once you have done a few. Bake in the preheated oven for 8-10 minutes. Let cookies cool for a few minutes before transferring to a rack to cool completely. September is a good time to restock the cookie jar. Now that we’re back into the routine of school we need goodies to pack in lunches and wholesome snacks on hand for the kids when they arrive home from school starving. 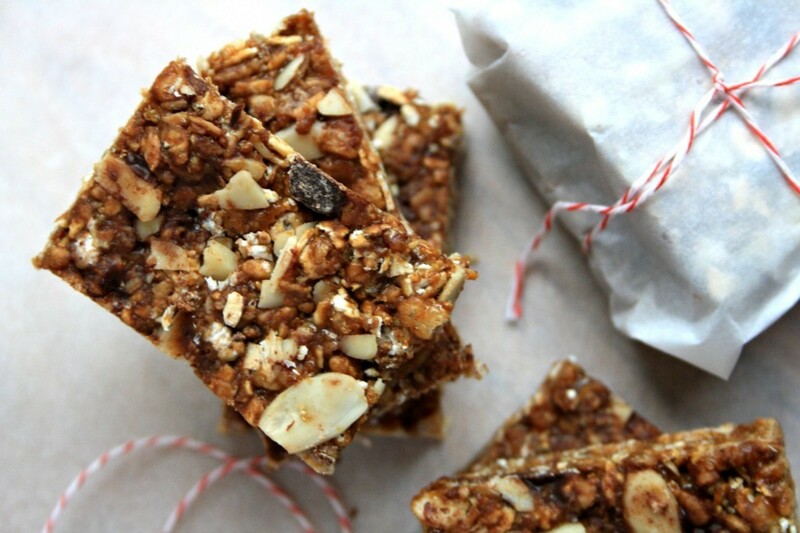 My kids aren’t the only ones in need of healthy things to nibble through the day. My husband and I brown-bag our lunches to work so we like to have appealing snacks to pack in our lunches too. 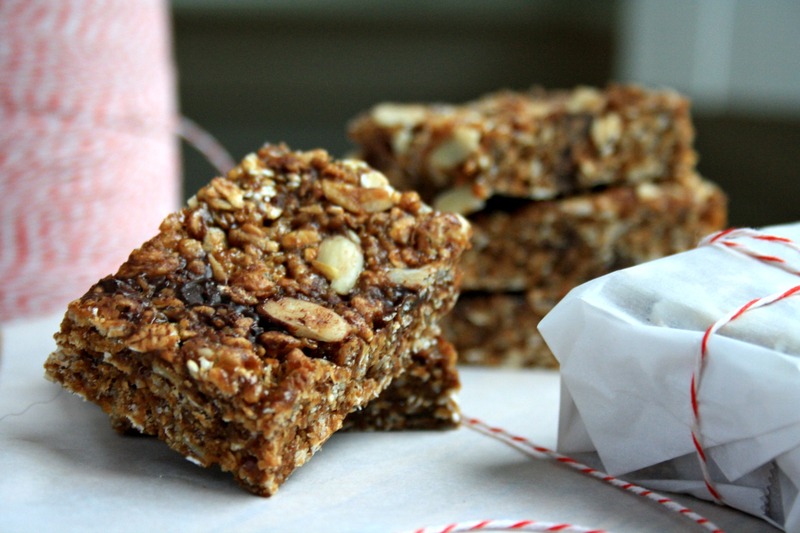 One of the benefits of homemade snacks is that you can stuff a little nutrition into sweet treats. When you’re in charge you can add nuts and seeds to cookies, use whole grain flour, add a little ground flax or reduce the sugar. 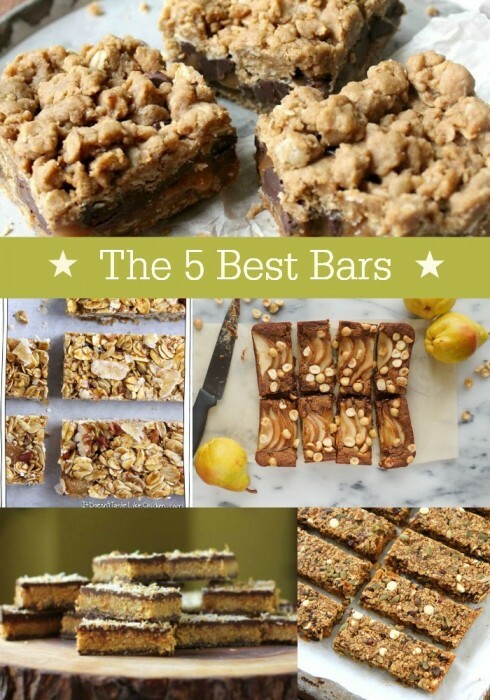 And you can change up recipes as required to make them nut-free and school-friendly. Some of the recipes below are gluten-free as well so you’re covered on that front too. Another great thing about making your own snacks is that you can always double the batch and freeze the extras. 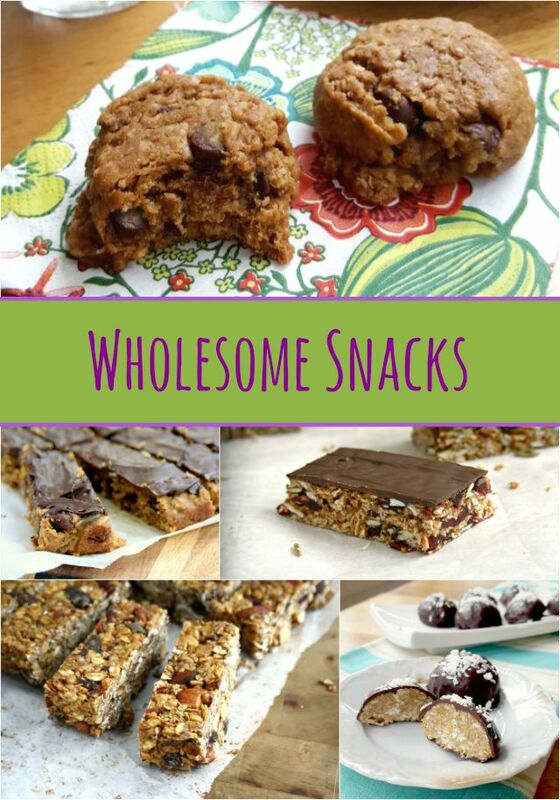 Here’s a collection of my (and my kids’) favourite muffins, cookies and bars that are wholesome and hit the spot, at recess, lunchtime or afterschool. 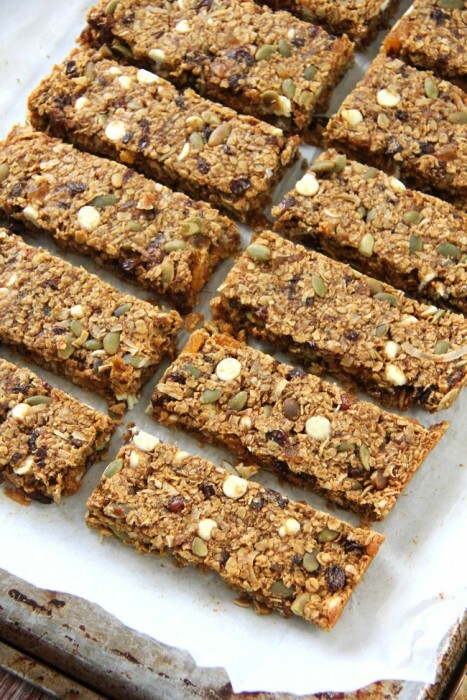 Wondering what to feed your kids on busy school mornings? Today was the first day of school for my kids. Back to the routine – the morning rush, packaging lunches and making breakfast. My kids have great morning appetites but it doesn’t mean it’s a breeze to get them fed well before they head out the door. Like all mom’s I’m in search of breakfast food that’s quick, healthy and substantial. 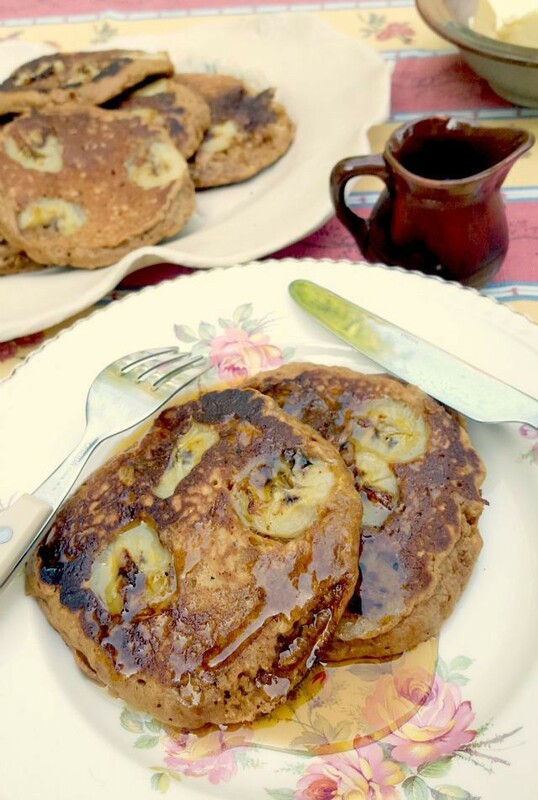 These banana oat molasses pancakes are wholesome and hearty breakfast food. They’re substantial with whole grain flour and rolled oats so stick to your ribs in a porridge sort of way. 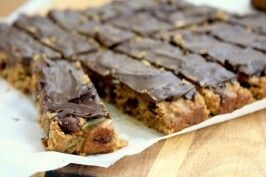 The banana slices on top add a nice bit of sweet and the molasses adds great flavour. I made this recipe twice on the weekend up at our cottage and they went from breakfast food to snack food as the day progressed. That’s the great thing about healthy pancakes. 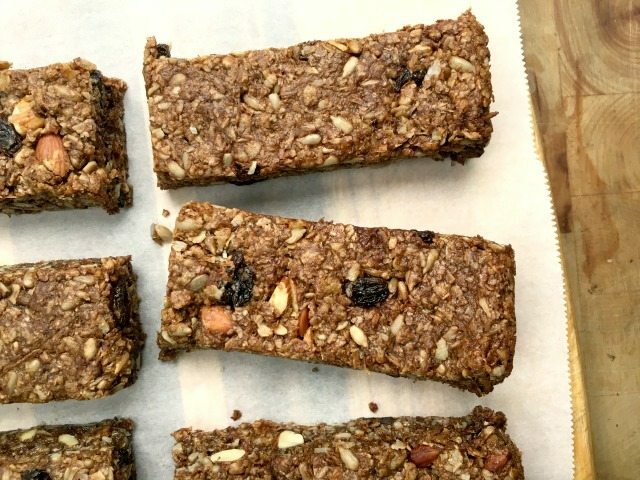 They’re perfect breakfast food with loads of protein and a good amount of fibre. You can nibble them for a snack, in the same way you’d eat a muffin. You can even pack them for lunch, with a little container of syrup on the side. Tip: I put extras in the freezer and warm them in the toaster on busy school mornings. In a large bowl combine the rolled oats, flour, flax, baking soda and salt. In another bowl, beat the egg with the molasses and sugar. Whisk in the oil and milk. Add wet mixture to dry and stir until combined. Lest rest 10 minutes. Heat griddle over medium and grease with oil. Drop batter into pan by 1/3 cup measure. Top with sliced banana. When edges are set and bubbles start to form on top, flip and cook until done. 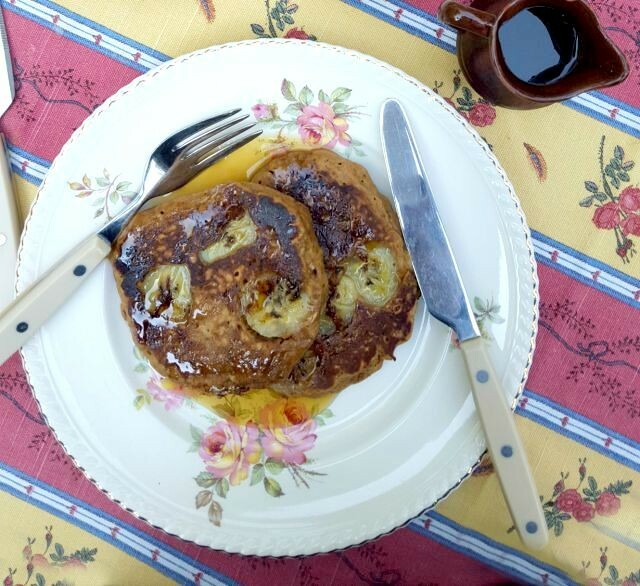 Place cooked pancakes in a warm oven until ready to eat, or cool on a wire rack and freeze. 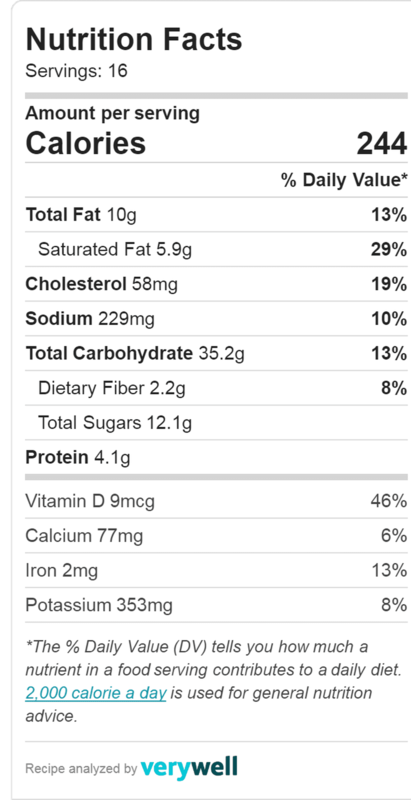 Finally, a healthy cookie that my daughter will devour. My daughter has a sweet tooth and she’s picky when it comes to baked goods. She likes her treats super sweet and spends her pocket change on Caramilk bars and packaged chocolate pudding. She dips into the chocolate chips whenever she gets the chance and has been known to eat pouches of hot chocolate with her fingers. No milk required. That’s why I was surprised when these cookies started disappearing off the counter. And she wasn’t just picking the chocolate chips out of them. This is a barely sweet cookie that is turned into a treat with chocolate chips. The original recipe called for ¾ cup of chocolate chips but I dialled it back to ½ cup. 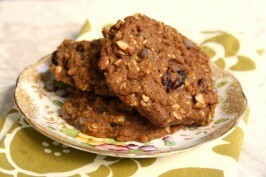 I have made these oatmeal cookies with almond butter as well (my daughter’s favorite is the almond butter version). Both variations are great so it’s more a matter of flavour preference and what you have on hand. 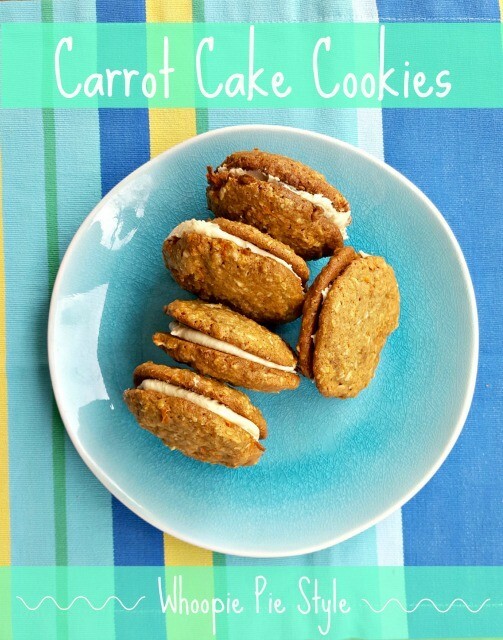 These cookies are surprisingly filling and have a terrific texture…Nice and moist. 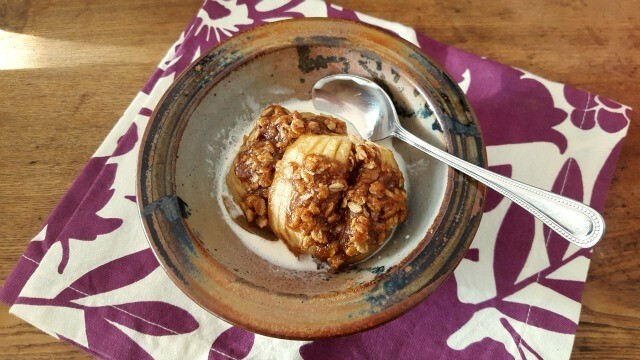 I have tested the recipe with old fashioned rolled oats but my preference is to use quick oats. It makes all the difference in the texture. If all you have are old fashioned oats you can pulse them in the food processor a few times to break them up a bit. I adapted this recipe from Naturally Ella. In a small bowl whisk the flour, baking powder, salt and baking soda. Combine butter and peanut butter in a saucepan over low heat and stir until butter has melted. Remove from heat and whisk in the molasses. Scrape into a bowl, cool slightly then whisk in the egg and vanilla. Stir in the flour mixture then the rolled oats and chocolate chips. It’s a cookie, but it’s filled with lots of healthy stuff like vegetables, old-fashioned rolled oats, a little bit of flax and unsweetened coconut. You can make them a bit healthier if you swap our some of the flour for whole wheat or spelt flour. And you could always reduce the sugar a bit. 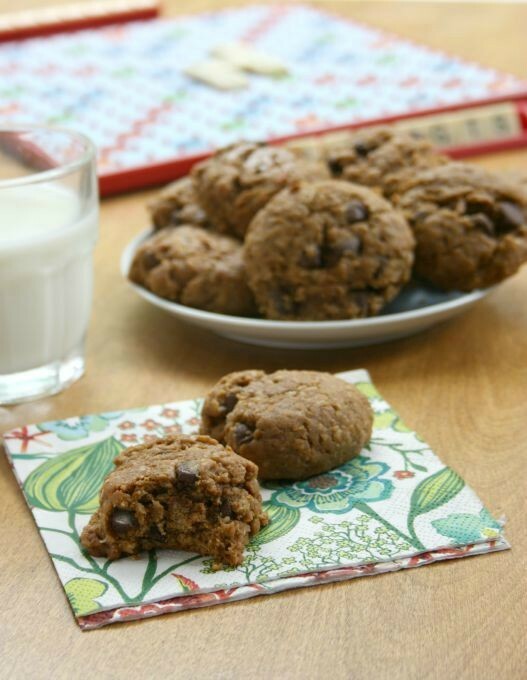 If your kids like to snack on cookies this recipe is a good choice. In a large bowl cream the butter with the sugars and salt. Beat in the egg then the molasses. In another bowl whisk the flour, flax, baking soda, baking powder and cinnamon. Add flour mixture to creamed mixture and stir until just combined. Stir in the oats, coconut and carrots. Combine well and chill for 30 minutes. Preheat oven to 350 F. Scoop dough by the tablespoonful onto a parchment-lined baking sheet. Place about 1 ½ inches apart. Cream butter and molasses. Stir in the vanilla and half of the milk then ½ cup of icing sugar. Add remaining milk and another ½ cup icing sugar. Continue adding icing sugar 2 Tbsp. at a time until you get a nice spreadable consistency. Every Maritime family has some sort of bread and molasses story. I have yet to try toutons, the fried bread dough drizzled with molasses that is a favourite in Newfoundland but what I have become fond of is Taffy Toast, a childhood treat of Holly from Nova Scotia. When Holly told me about the childhood dessert treat that her mom used to make for her and her siblings I felt like the bread-and-molasses food group had been elevated to a whole new level. It’s sweet, buttery and crispy. 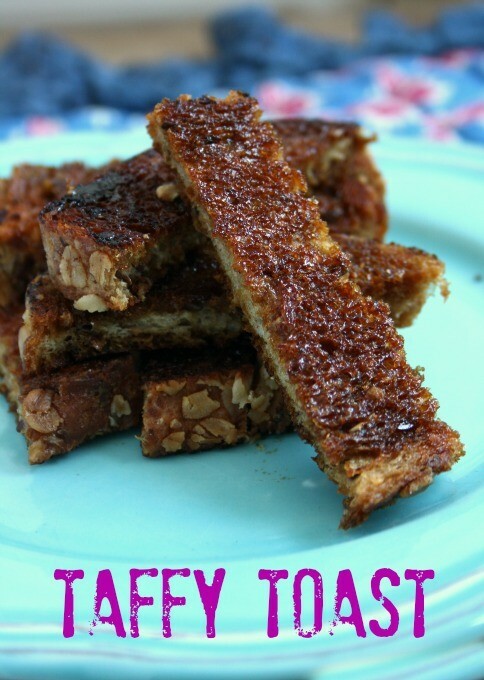 Holly grew up calling it Taffy Toast and the name couldn’t be more apt. To end the molasses-first or butter-first debate I have tested this recipe both ways and the molasses-first version wins hands down. Be sure not to overheat the pan or it will burn easily. Update: I had a note from reader Katherine who grew up on PEI. In her family they called it Gold Toast and it’s a treat that her mom, who was originally from Boston, used to make for them. *If you’re using thick cut homemade bread you may need more molasses. 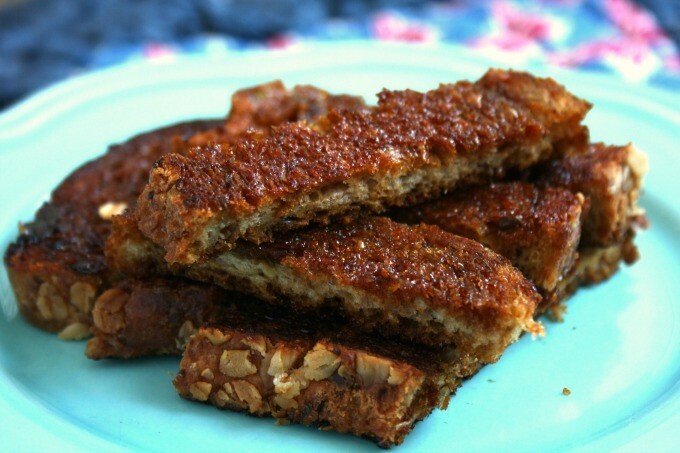 Spread molasses on both sides of each slice of bread. Melt 1 tsp. butter in a fry pan over medium heat. Place bread in pan and fry until golden and just crispy. 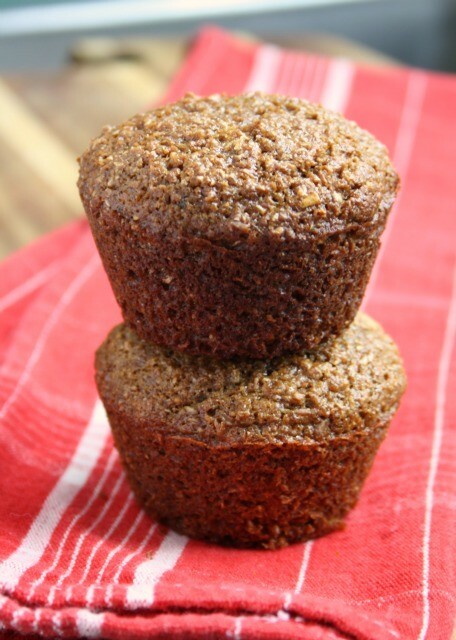 Light and airy bran muffins…No kidding! 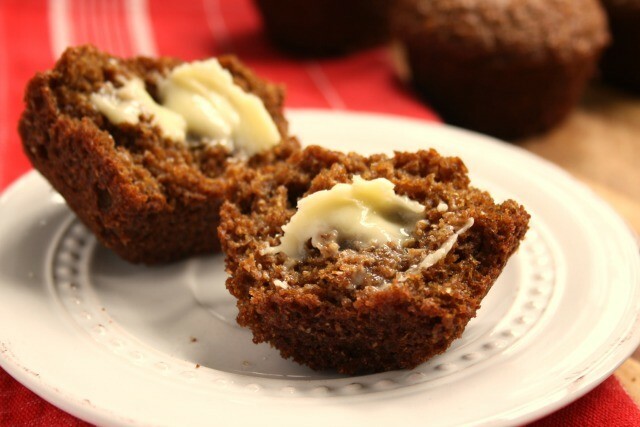 This is one of those bran muffin recipes that has been around for eons. It makes four dozen muffins and the batter is stored in the fridge so you always have it on hand when you’re in the mood for fresh muffins but don’t have the time or inclination to mix up a batch. A lot of six-week refrigerator bran muffin recipes call for boxed bran cereal but my mom always made them with natural bran. Baker’s bran as we called it. 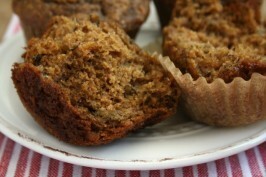 Using natural bran keeps your muffins light textured which is a treat since many bran muffins are more like doorstops. I grew up with this muffin batter in the fridge, stored in a four litre ice cream container. And thanks to mom I also grew up with warm muffins cooling on the counter when I came downstairs for breakfast on sleepy school mornings. Afterschool I used to love dipping a spoon, or my finger, in the batter in the fridge. I cut the sugar in half in this recipe and added a bit more molasses since it’s a more flavourful sweet. It makes the muffins extra moist and sweet enough without being cake-like. Mom said she always loved this recipe because it used a whole litre of buttermilk so you’re not stuck with leftover buttermilk wasting away in the fridge. The batter can be stored in the fridge for up to six weeks, although I have read that they don’t rise as high as the batter gets older. Preheat oven to 425 F and prepare muffin pans. Measure the wheat bran into a large bowl and cover with boiling water. Stir and let sit. In another bowl, whisk together flour, baking soda, baking powder and salt. Set aside. In a large bowl, cream butter and sugar. Add eggs, one at a time, mixing well after each addition. Whisk in the molasses and buttermilk. Add flour mixture and stir gently until almost combined. Stir in wheat bran mixture and mix gently just until incorporated. Scoop into prepared muffin cups and bake at 425 F for 5 minutes. Reduce oven temperature to 375 F and bake for another 18-20 minutes, until muffin tops spring back lightly when touched. Cool in pan for 10 minutes then remove to a cooling rack. 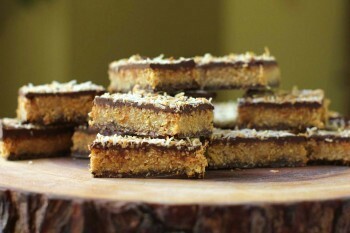 No-bake cookies and bars were the first treats I learned to make on my own. The recipes were always extra easy, usually included some kind of cereal and always made a big batch. I got my Brownie “Baking” badge by making peanut butter cereal squares all by myself and I learned to make Rice Krispies squares over a fire at summer camp. There is a lot to be said for getting kids cooking at a young age. 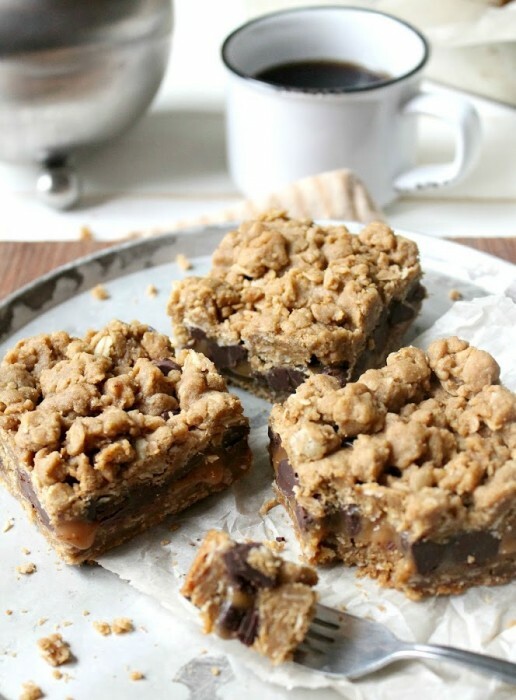 When you have mastered cereal squares then it’s onto chocolate chip cookies, and may be a cake or muffins…. Once you develop a taste for homemade treats it’s hard not to feel underwhelmed by the packaged version. Setting kids free in the kitchen builds their confidence in the kitchen and that little bit of know-how will stand them in good stead when they’re off on their own. There’s a chance they’ll do more cooking from scratch, rely less on processed, packaged foods and be healthier over all. So here I am, back where it all began, making cereal squares. It had been years (decades?) since I last cooked with Rice Krispies and when I first tasted Vanessa’s squares I realised how much I loved that unmistakable crispy texture. 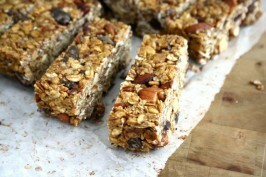 They can transform a granola bar (just ask my kids). This is one of those recipes that you can adapt to suit your tastes by mixing and matching the nut, seed, dried fruit, chocolate combinations. 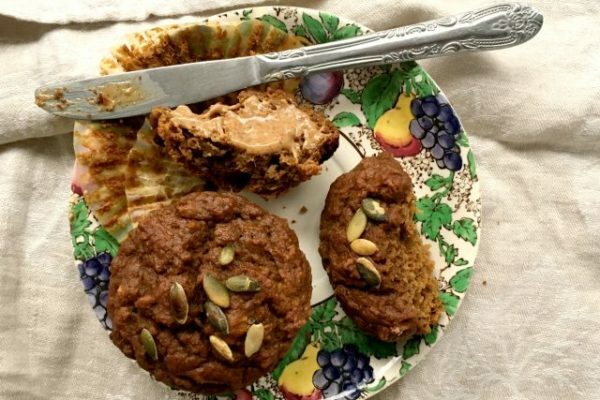 School-friendly option: Replace the almond butter with sunflower seed butter. Line a 9”x13” pan with parchment paper or grease it thoroughly. Set aside. 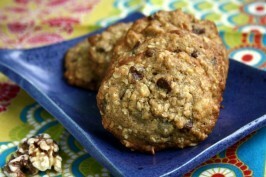 In a large bowl combine rolled oats, cereal and ground flax. Measure out the slivered almonds (or seeds) and chocolate chips and set aside. In a small saucepan combine molasses and brown sugar. Cook over medium heat until sugar dissolves then bring to a boil for 30 seconds to a minute. Remove from heat and quickly add almond butter (or sunflower seed butter). Stir to combine. Working quickly, pour sugar mixture over dry ingredients and mix well. Quickly add the almonds and chocolate chips, using your hands if necessary. Still working quickly, press into prepared pan. 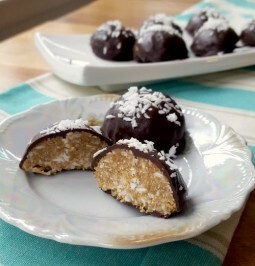 If you’re into gluten-free treats try our coconut almond energy balls. Beat sour cream, cream cheese and molasses until smooth. Spread in shallow, glass, oven safe dish. Mix together salsa and pineapple, layer on top of cheese mix. Spread grated cheddar on top. Heat in 350°F oven for 10 minutes. Surround with tortilla chips and serve.